This boat is still owned by the original family. The original owners were the family of Dr. Benjamin H. Alton and Elizabeth Moen Alton. The name Daphie is from the four Alton children (D orothy, A lison, PHI lip and E lizabeth). 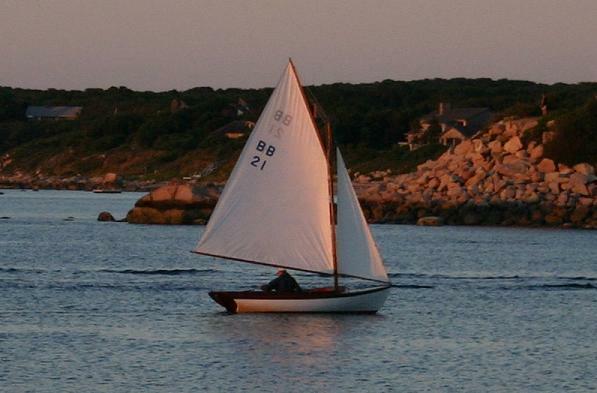 The restoration of this boat is the subject of a 2008 book by Daniel Robb, SLOOP. It is worthwhile noting that the record has #1486 being bought by Dr. Benjamin Alton. This is not the case …he bought 1471. There must have been a mixup in the office.